I’ve always had a fascination with pop-up books. Even as an adult, I’ll browse through the Barnes & Noble kids’ section to see the intricate foldable art inside these books. I’ve always found it impressive and even magical. I’m also a big fan of adventure games. 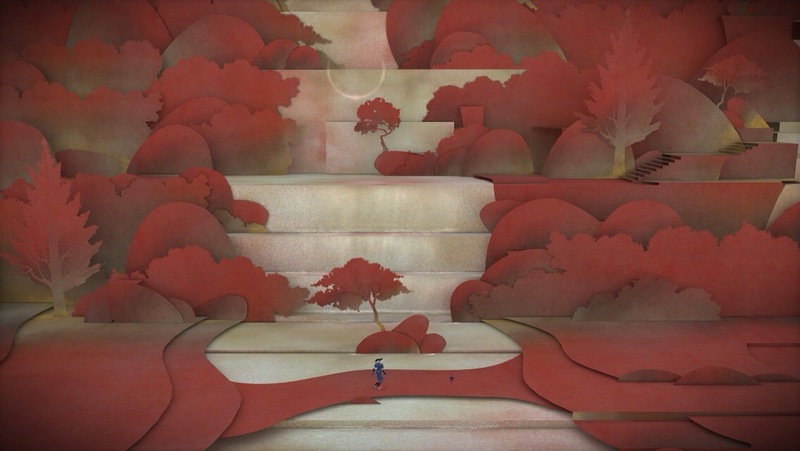 So when I saw that an iOS game was coming out that would be like an adventure/puzzle game within a gorgeous pop-up book, I was eager to play it. So did the game live up to my expectations? 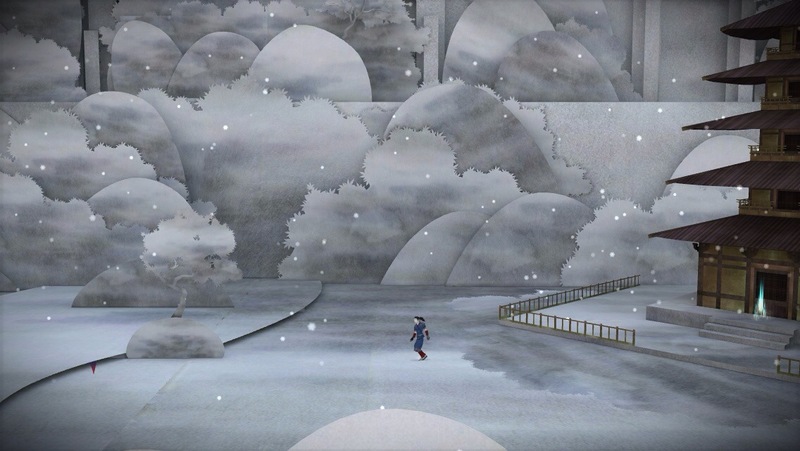 No doubt about it, Tengami is a beautiful game. It’s a work of art. All the scenery looks like it’s cut out from paper and folded into a book. The colors change from location to location in order to depict a certain season or a time of day, such as twilight or sunrise. Each color palette is tasteful, and sometimes surreal. The colors are a large part of what makes the game so gorgeous. 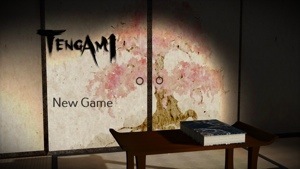 The way the game works is you control a little paper man strolling through Japanese landscapes. You double-tap a spot to make him walk to it. Sometimes you’ll need to solve a puzzle to continue along the path. The puzzles most often require flipping pages to change the scenery, with the scenery visibly folding and unfolding as you turn the page. Sometimes puzzles involve ringing wind chimes or finding an object. Most of the puzzles can be solved with a little bit of thinking, exploring and some good old-fashioned trial-and-error. Some are a bit harder to figure out, leading some players to look for help outside the game. For the most part, the puzzles are done well. 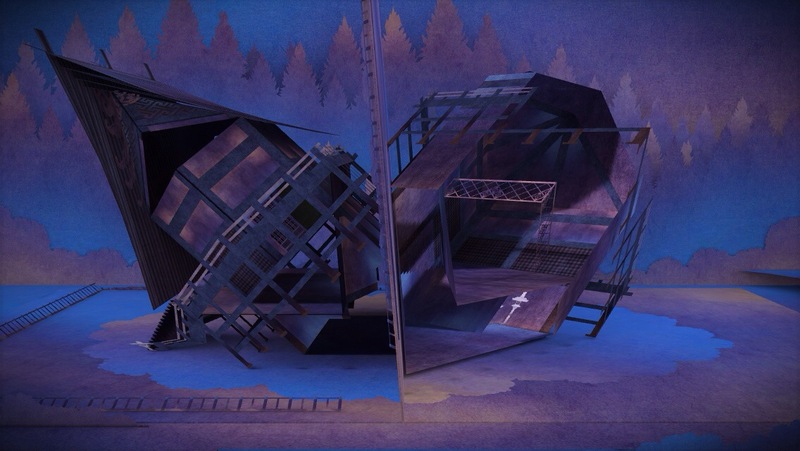 I especially like the ones that you have to manipulate the scenery to get from one side of a “page” to the other. I wouldn’t mind seeing even more puzzles, except for the issues I’ll cover next. 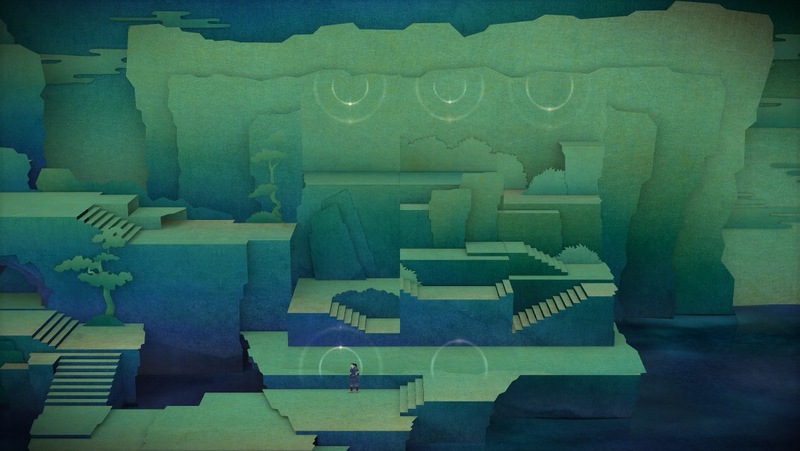 My main issue with Tengami is the slow walking speed. I get that it’s supposed to be a relaxing, scenic game. But it’s also a puzzle game that involves exploration to figure out what to do next. Having a character that walks at a snail’s pace makes the exploration part feel more like a chore than entertainment. Additionally, minimizing the app causes the game to close down. When you start the game up again, it sometimes sets you back a bit to the last save point. Again, this would be less of an issue if the character didn’t move so slowly. I also think there are some missed opportunities here. I would like to see more of a story, and I would also love to see some un-lockable content. For instance, maybe when you clear an area and there’s a section in the main menu that allows you to flip through some of the pages without having to walk around. Basically, reward us with the ability to revisit areas as though we were flipping through an actual book. Let us have the freedom to play with the pop-up artwork even when we’re not playing the main game. 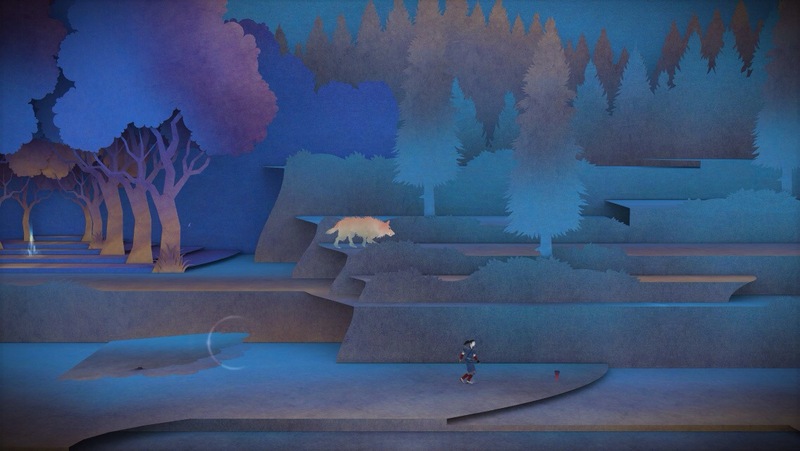 If you need any help, try our Tengami Walkthrough Guide. Like artistic games? Try Oquonie.